From your on sale to your event on-site, TicketRaccoon has the tools for your event to succeed. Let us help you make your next event a success. Technology is the core of our business. Our vibrant customizable event pages and a complete suite of ticketing tools, mobile & online ticket sales are just the beginning of what we can do for event organizers. Run a professional, fast box office and sell tickets directly to your customers. Scan tickets and clear your lines quicker at the gate. Use TicketRaccoon as your provider; your event day will be an easier, more successful experience for you, your staff and your customers. Our marketing services are here to help you make the most of the expansive set of tools built into your TicketRaccoon account, but that’s just the beginning. With extensive experience in event marketing, SEO/SEM, advertising, promotions, and social media, our specialists are ready to provide a truly unique service structured around your needs. We travel to your events, consult with you on best practices for events, and treat your customers like our own. From Event Operations to customer service, the success of your event is the top priority for every member of our team. The same experience on any device. 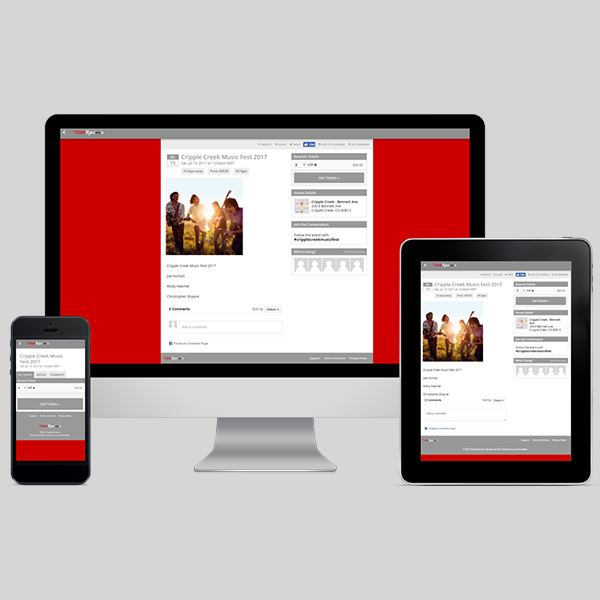 The responsive design of our event pages dynamically arranges page elements to provide your customers with an easy, fast checkout experience on any smartphone, tablet, laptop or desktop computer. 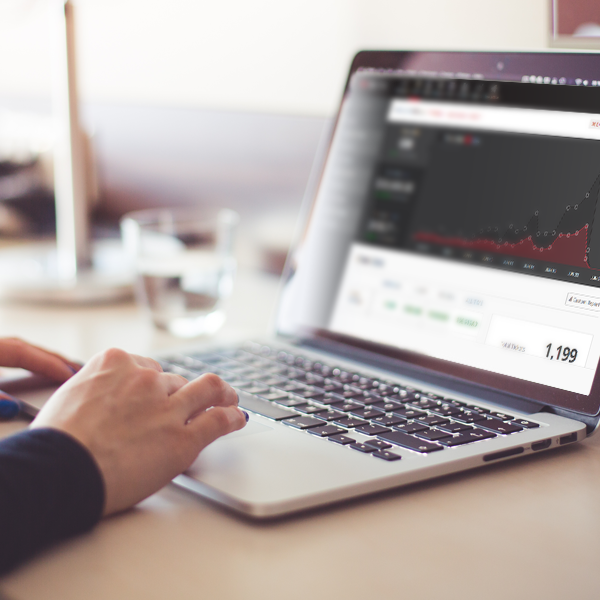 The TicketRaccoon platform was designed and built with mobile first in mind, with years of experience in how to optimize conversions on smartphones, tablets and desktops with proven design and checkout experience. Social Media & Marketing Tools. 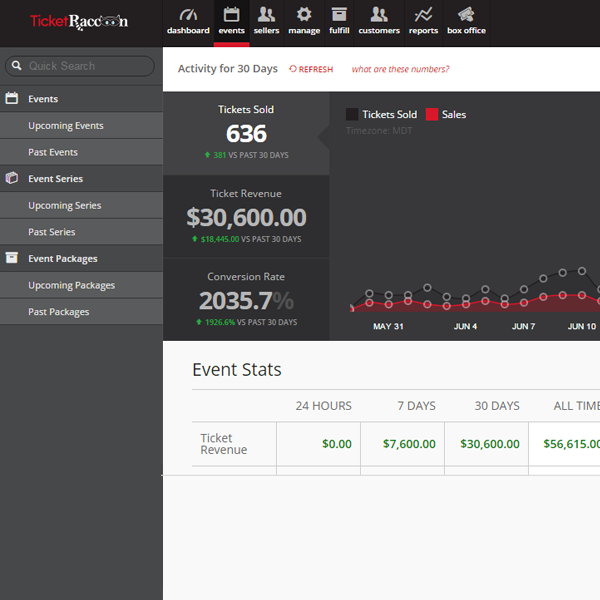 TicketRaccoon offers a Marketing Dashboard which allows you to market your events from inside the TicketRaccon admin. 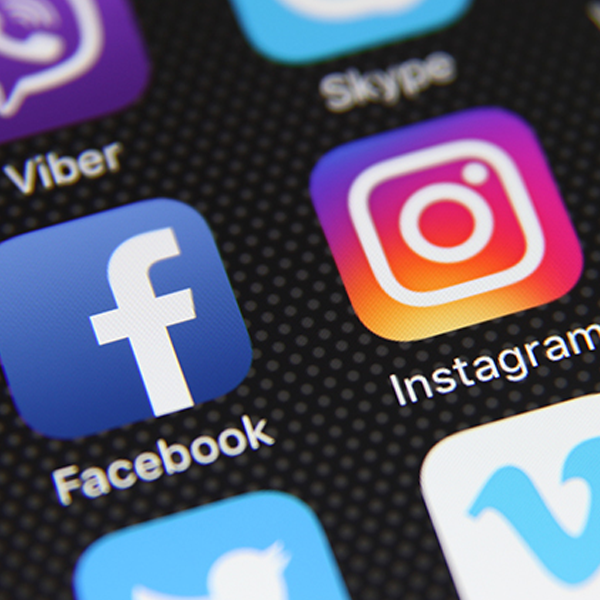 Connect to social media including Facebook & Twitter. Our platform also can intergrate with today's powerful analytic tools like - Google Analytics, AdWords, Facebook and more - so you get all the information you need to make an informed and effective marketing desicions. Total ticketing management. For everything from table seating and group sales to coupon management and application forms, we provide a complete set of features for any type of event. Let one of our success managers show you how TicketRaccon can partner for you. Our proven technology will increase brand awareness, ticket sales and conversion rates.